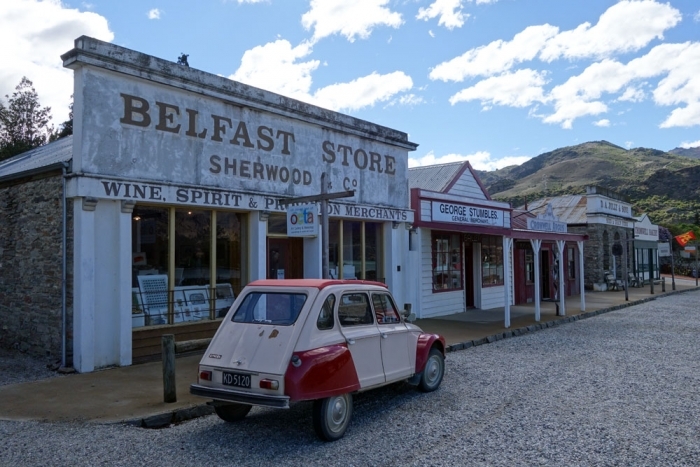 Our two favourite towns in New Zealand nestled in some very pretty surroundings. 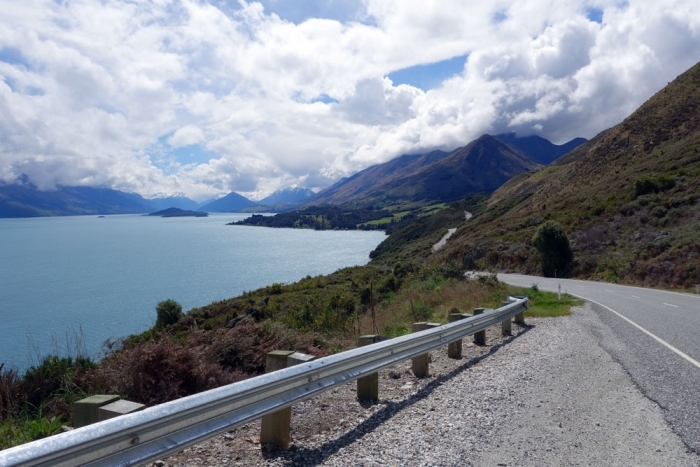 I think if we had to chose anywhere to actually live in New Zealand from our travels so far it would be in the Wanaka and Queenstown region. These two towns sit in the shadow of large snowy peaks beside crystal clear lakes; the scenery is literally breathtaking. 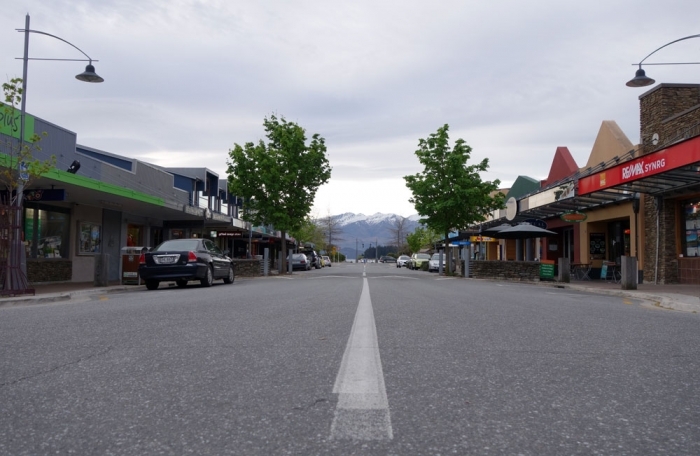 Our first stop in this area was lovely Wanaka after driving across Haast Pass from glacier country. The town is quite small but it sits on Lake Wanaka and from the lakefront and Main Street you can look across the lake to high snow capped mountains. We decided to check out the Cinema Paradiso in the town which is recommended in all the guidebooks for its quirky seating and freshly baked cookies during an intermission in the films. 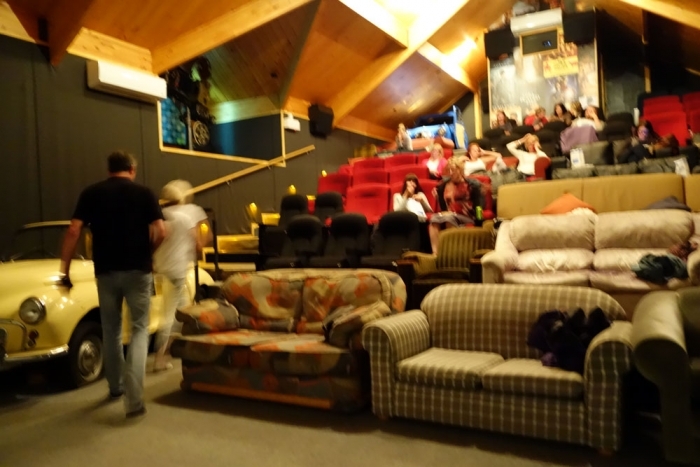 We had a fantastic time; We love going to the cinema at home and have missed the experience since travelling so it was a lovely feeling to be able to go and watch a film in such comfy surroundings. The next day we decided to walk up Mount Iron on the outskirts of the city. 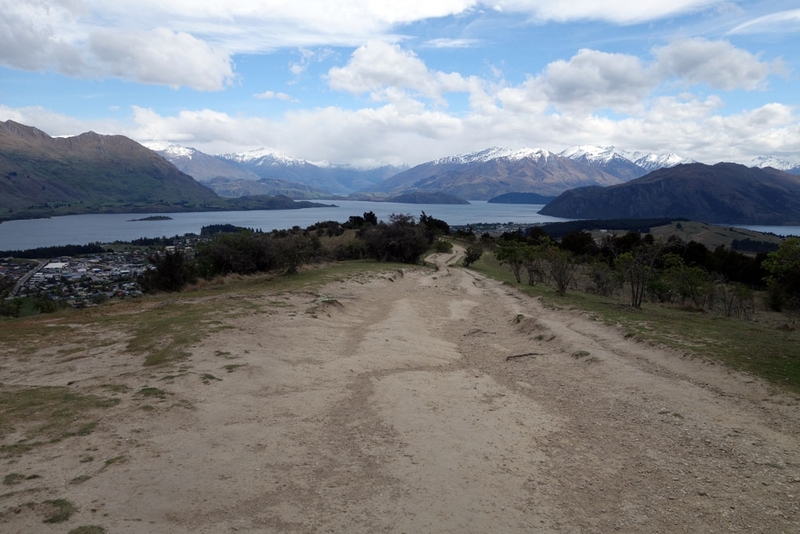 It is a good relatively short walk to do if you don't have much time in the area like us and gives good 360 degree views of Lake Wanaka, those awesome snowy mountains and the town itself. We decided to drive to Queenstown via Cromwell and Arrowtown to see some remnant of the old gold-rush days. Cromwell has a small portion which has been reconstructed to look like an old town and is cute for a 5 minute stop off. We also did the drive to Bendigo as we were told there was a ghost town there to explore...turns out that it's mostly mining relics and a few stone houses. We didn't actually do the recommended walk in the end as we didn't have time but I'm not sure I would even bother doing the drive out in retrospect as it was definitely not as exciting as we had pictured it! 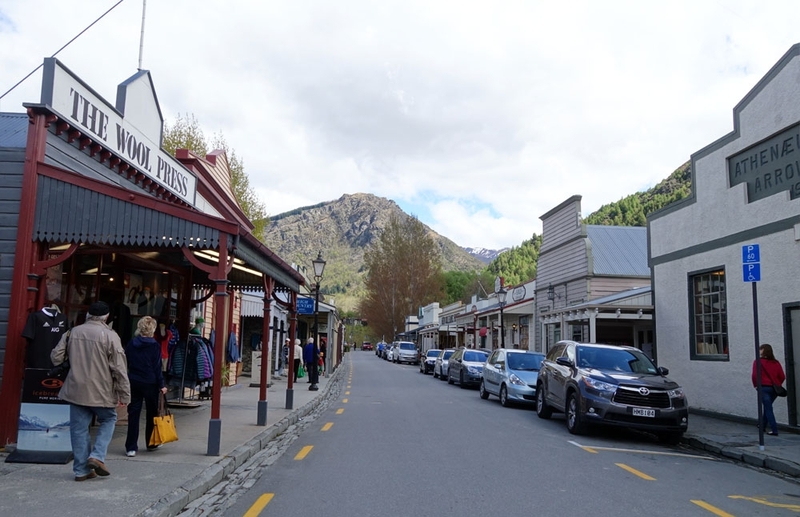 The whole Main Street of Arrowtown looks old-school and is quite nice to wander down. 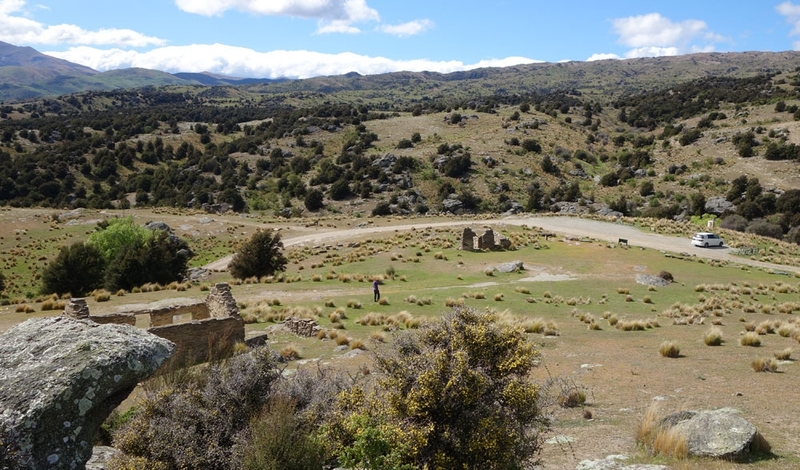 There is also a pretty well kept Chinese gold-miner settlement which is a good stop off for all you history buffs out there. When we finally made it to Queenstown we were blown away by the scenery right in the town centre. 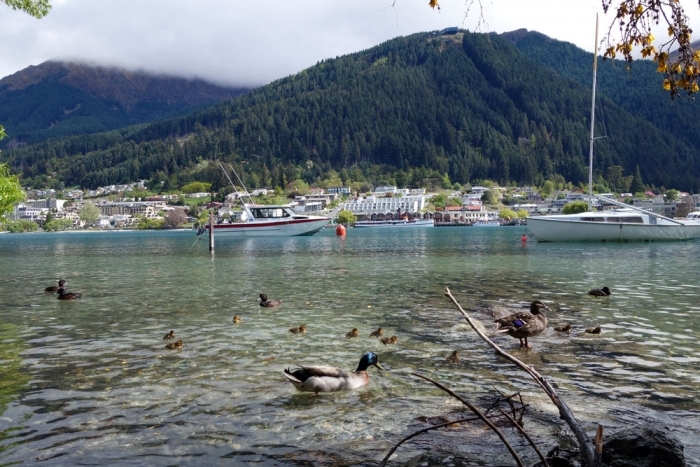 Queenstown is thought of as the adventure capital of the world but we didn't really visit for those reasons. We came for the scenery and the food and we were not disappointed. 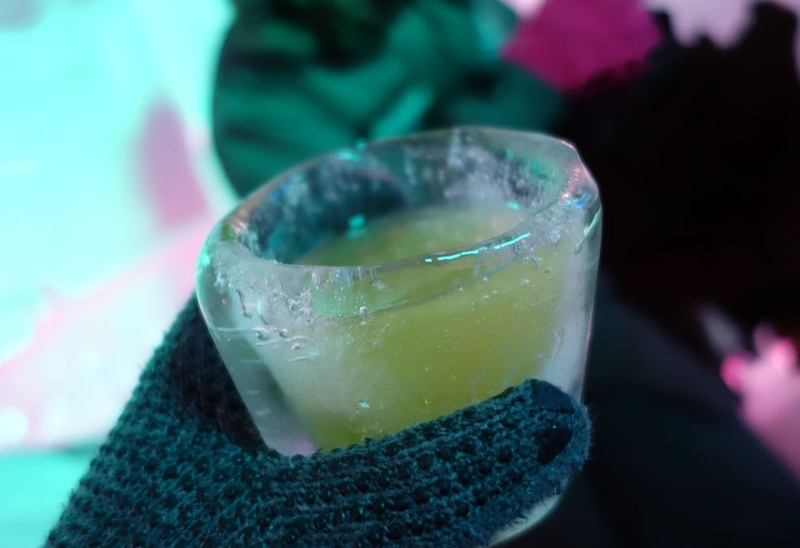 Our first stop was an Ice Bar (Below Zero). We had gotten very cheap tickets on bookme.co.nz (definitely worth a look for discount activities in both NZ and Australia). We had one cocktail and experienced the 'coolness' but that was about all we could stick and then we wanted back to the sun. If you've never tried it before though I would say maybe think about popping in. The rest of our time was mostly spent eating. Throughout NZ you will see 'cookietime' cookies in supermarkets and cafés so we went to the original store and got some hot yummy yummy cookies (they have happy hour from 6-7pm where you can get 2 cookies for NZ$3 - the original Chocolate Chunk ones were our favourite). We then ventured to Fergburger for our dinner. If you've read anything about Queenstown you will have come across Ferburger - it's somewhat of an institution. 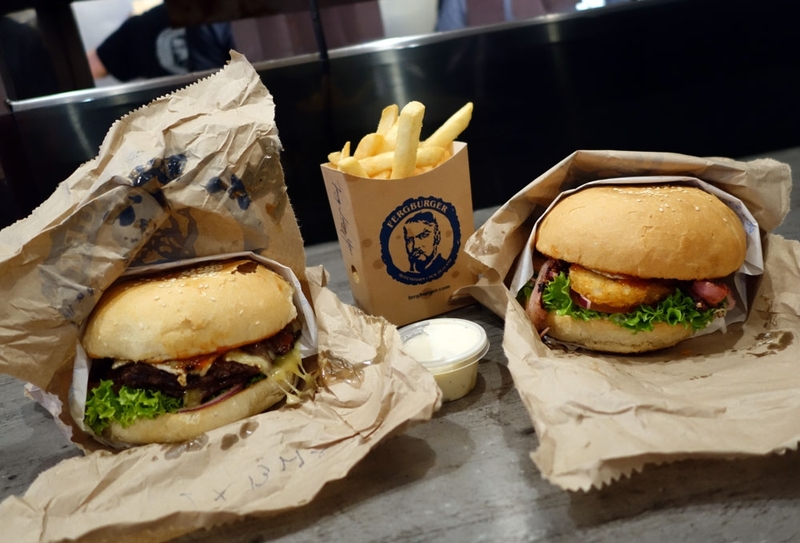 The bottom line is that they do really really good (and really really huge) burgers for very reasonable prices and even though they are popular, the wait is not long at all. We loved our burgers (Alistair got a double cheeseburger with Brie and I had the breakfast burger which had hash brown, egg and bacon in it) so Fergburger definitely gets the thumbs up from us. The next morning we even ventured into Fergbaker next door and got a yummy bagel and boston cream donut each and it was equally delicious. 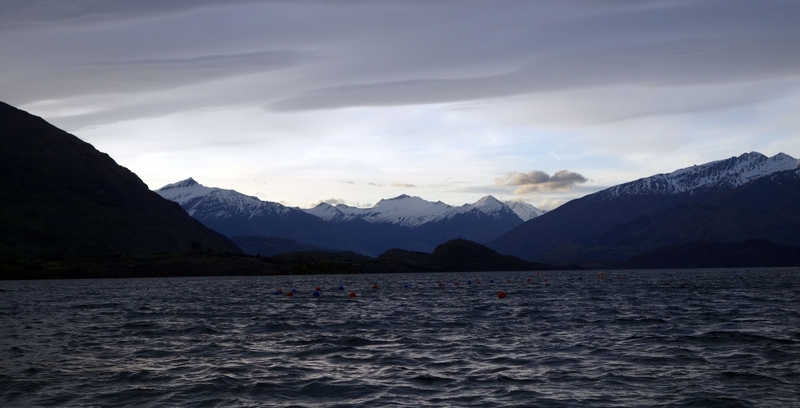 We ended our time in this region by doing the drive to Glenorchy. 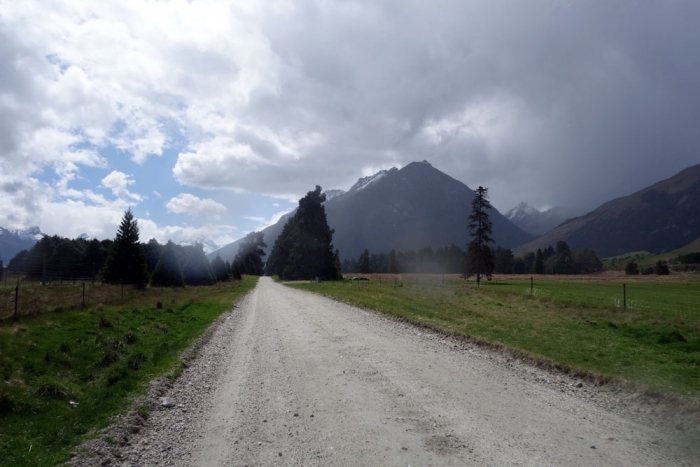 We had heard 1) it's one of the most beautiful drives in NZ, 2) there is a place called 'Paradise' at the end and 3) some of Lord of the Rings was shot out there, so we figured it was worth the trip out. We discovered that 1) it definitely is a gorgeous drive and you will be ooooing and wowing the whole way there, 2) Paradise is extremely hard to find (AHAHAHAHA) and not worth the search and 3) we couldn't recognise where on earth Lord of the Rings was shot as the whole place looked like a scene from the movies! However Queenstown and Wanaka should definitely feature on all New Zealand itineraries as they are so so worth the stop off!